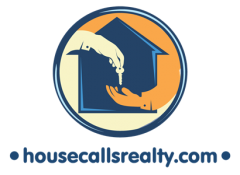 House Calls Realty charges half of the first months rent for our worry free marketing, background check system and lease signing services. If you already have a lease agreement in place we are happy to take the reigns, but we encourage you to call us sooner rather than later in the case of a problem tenant. We charge a flat $100.00 per month for all rentals that rent for under $1200.00 per month. All rentals over $1200.00 are billed 9% per month. We collect the monies, deduct our fees, and forward the funds to you. Tenants can pay online, send us a check or money order, or use direct deposit. We market your property for you on and offline. Your property will be featured on the local multiple list service (MLS), Zillow, Backpage, Trulia, Hotpads, Yahoo, Frontdoor, Enormo, Oodle, Trovit, Zumper, Lovely, My New Place, craigslist and many others. We are Premier members of Zillow and Trulia the leading real estate websites and we are members of the local MLS. We have an in house graphic artist and certified search engine optimization specialist that creates the professional looking brochures. We then disperse them to the various web sites, and post them offline in local coffee shops, markets and gyms. Our automated background check application system which is paid by all applicants. We offer credit checking for $30.00 or a full criminal back ground check for $50.00 per applicant. We have a standard lease or you are welcome to use yours provided it covers what is needed. We strive to create a win-win situation and try our best to avoid any evictions or tenant drama, however, on occasion we must defend your rights as a landlord and are prepared to do so. We offer 3 Day Notice to Quit and 10 Day Eviction Notice postings. We can even attend the Sheriff eviction removal and arrange a team to remove the belongings as required. We have an excellent lawyer that we work with when needed in order to win a judgement when necessary. *These services are offered at an additional cost and may require an additional retainer/deposit and hourly rate.